I’ve always said that you should use social for show and SEO for dough, and this new infographic originally from Orbit Media Studios confirms it! At least in part. Why is SEO (and pay-per-click, to some extent) preferable to social for most businesses looking to gain visitors and leads? It’s pretty simple: Most people begin their research for buying decisions on search engines, not social media. Social media is where we interact with people; it’s less likely to be the place where we interact with companies and products. Don’t throw out the baby with the bathwater though! Social media can be great for building brand recognition. For some business models, paid advertising on social media platforms can be quite effective. How about you? 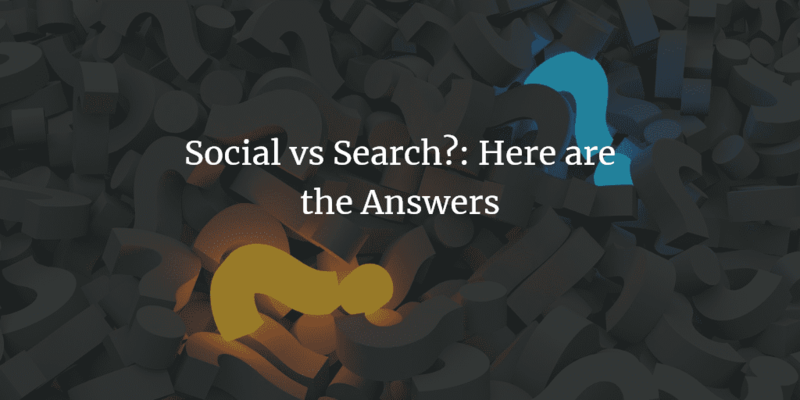 How do you use search engines and social media differently? Check out the infographic and comment below.